Explore some of Idaho’s greatest mountains. See Idaho’s beauty from up above. You will be amazed at how far you can go in one day on one of these smooth-riding RZRs. See high-mountain lakes, wildlife, and incredible views of Salmon River Canyon, Hells Canyon, and the high mountain Gospel Mountain Range. We are local and our family has lived here for over a century, so we know the best and coolest rides in the area. Whether you prefer an easy family ride or a higher adventure thrill, Killgore Adventures will show you the way. Explore the surrounding areas in the most fun way possible, riding in a 4 Wheel RZR! 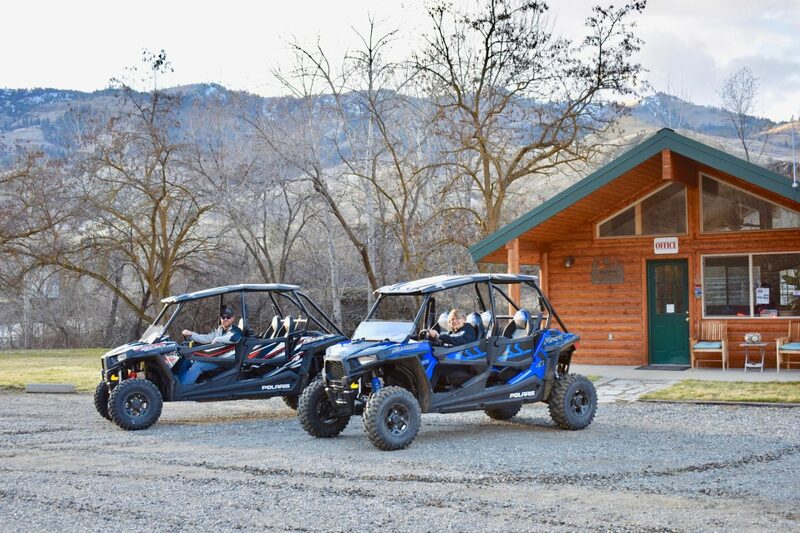 Each RZR seats four, bring the whole family!